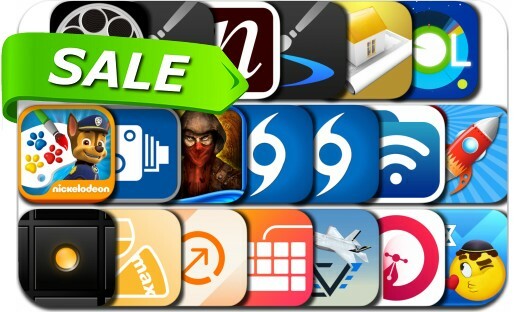 No need to pay full price to get awesome apps, just check out these 20 iPhone and iPad apps that are on sale right now. This app deal alert includes Inspire Pro — Create Art, Paint, Draw & Sketch, Home Design 3D GOLD, Sol: Sun Clock – Daylight Forecaster & Solar Alarm, Hurricane Tracker, Phone Drive, ProtoSketch, Inspire — Paint it. Blend it. Love it., Cursed Memories: Secret of Agony Creek, Noisepad, Interact, DVD Catalog for the iPhone and many others.